In the past when heading off on holidays like my recent trip to Las Vegas I would descend on Boots and stock up on various products to get my through my vacation. Times have changed and luckily I have a pretty sizeable stash of products and samples to decant whether to try, their size of general love and not wanting to be without specific products. Not one to miss out on a shopping experience instead I took to Boots and stocked up all the products that needed repurchasing…. I've been using John Frieda products on and off for years. 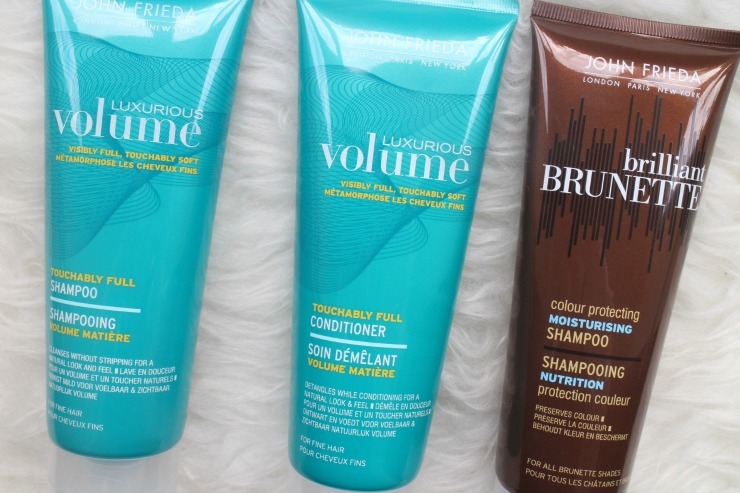 If ever I feel like my hair needs a boost it's always the Brunette range I return to and I'm also a fan of the newer volume range. I was running out of shampoo and needed a cheaper brand to sit aside the Bumble & Bumble products I was favouring and when I saw an offer of 3 for 2 my decision was easy. It's interesting that since I have had my hair cut I've enjoyed the Bumble & Bumble Surf Spray range for a more tousled look but it has left my hair drier than usual so mixing things up with these products has made a positive difference. In fact I've even moved the Bumble thickening products to my shelf whilst I enjoy these. Interestingly since changing things up with my shampoo above I've needed to use Bumble & Bumble's dryspun finish less on a day to day basis. That said it's still a go to that I like to throw in my bag if I know I'm off out after work or I reach for when I want to give things an extra hit of volume. 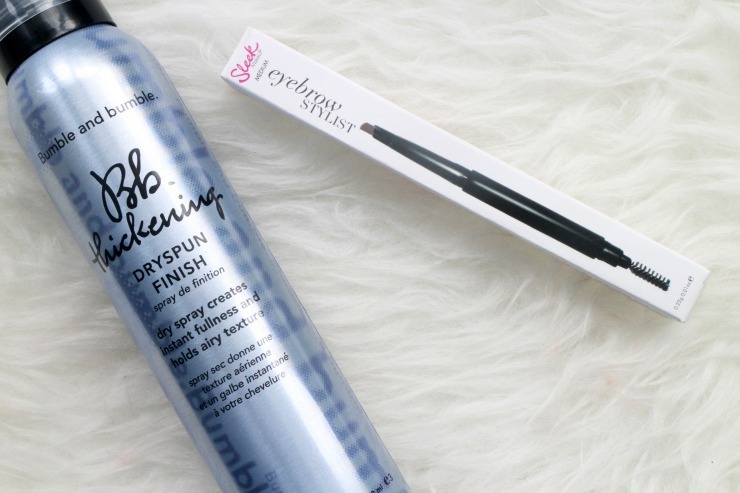 I've tried the cheaper alternatives and still find this is the product that I love. This eyebrow pencil from Sleek was probably one of the main reasons I entered Boots to stock up on this shopping trip. I think it's the first time I can ever remember using a product on my brows that I finished. Famed as a dupe for the Hourglass and Soap & Glory versions I find that this cheaper alternative is good enough for me. I actually preferred it to the Anastasia Brow Wizz, which until the last couple of weeks has only just found a place in my affections. Different brow products have a place in my routine depending on where I am between threading appointments but the Sleek Eyebrow Stylist is definitely a product I can rely on and rushed to replace. Don't forget to add me on Bloglovin so you don't miss part two of this haul tomorrow.